We ended the last essay with our discussion of the quality of Wisdom that the Apostle James calls “good fruits“, that “the wisdom that is from above” IS “full of mercy and good fruits” and while we DID discuss the Master’s words on such “good fruits“, His words DO NOT describe for us just what such fruits ARE. Jesus tells us that the True fruit IS produced in one’s Life who DOES keep His words saying, according to the Apostle Luke, that “on the good ground are they, which in an honest and good heart, having heard the word, keep it, and bring forth fruit with patience” and here we should remember that “The seed is the word of God” (Luke 8:11, 15). While Matthew and Mark frame this idea a bit differently using the ideas of receiving the word, and understanding the word, we should try to understand that these ARE components parts of one whole; keeping His words can only come from receiving it and accepting its fundamental Truths and understanding His words can ONLY come by the same means and through keeping them. If we can again relate this idea to the Truth that flows into the Life of the man who keeps His words according to Jesus’ saying that “If ye continue in my word, then are ye my disciples indeed; And ye shall know the truth, and the truth shall make you free” (John 8:31-32), we can then more clearly see that “the wisdom that is from above” IS that Truth. There IS a dynamic link between the gospel writers’ ideas on the man who IS the “good ground” and while we see these as interrelated in “the wisdom that is from above“, we must note the individual writer’s own perspective on the idea as Vincent show us that: The three evangelists give three characteristics of the good hearer. Matthew, he understandeth the word; Mark, he receiveth it; Luke, he keepeth it 4. Vincent calls this the characteristics of the hearer while we see these ideas as the same effect of the Truth in the Life of the man whose focus IS upon the Lord; both ideas here ARE True. We should try to see and to understand that these things work together and if we could measure these ideas against what has become of the church, we could likely see a prophetic quality in the apostles’ words. Remember here that we ARE speaking about the Master’s words as they compound the words of the law and here again we should see that it IS the parts of the law which Jesus addresses positively that matter and NOT the ancillary ideas that had become the traditions of the Jews. While much of today’s doctrines tend to compartmentalize Jesus words as well the very idea of the law with a view that Jesus taught the ‘old covenant’ to the Jews and that they have a ‘new covenant’ based upon their doctrinal sense of salvation, we should understand that Jesus words DO still matter and that they ARE the True Way. In Jesus words regarding the ‘saved‘ from this parable, “the good ground” as the parable calls them, we have those “such as hear the word, and receive it” (Mark 4:20) and in this we should understand that this idea IS contrary to what has happened in Christianity over the last 2000 years. It IS His words, as He amplifies and clarifies the law, that must be received and NOT the interpretations of men which have become their doctrines….it IS these that must be received. Here the Greek word paradechomai IS rendered as received and if we look at the deeper implications of this word perhaps we can understand Mark’s use of this idea. Strong’s tells us that paradechomai IS: to accept near, i.e. admit or (by implication) delight in 9a while Thayer’s tells us that in classical Greek from Homer down, properly, to receive, take up, take upon oneself 9. Can we see the idea of receiving that IS intended? The Greek word paradechomai IS used ONLY five times in the New Testament and compared with the many uses of other words which ARE rendered as received (dechomai, lambano, etc.) we should try to see a significant difference in their uses. Here we ARE speaking about the word of God, the Truth if you will, and it IS those who will take upon oneself this Truth that ARE the “good ground” that will “bring forth fruit, some thirtyfold, some sixty, and some an hundred” (Mark 4:20). Vincent tells us of the uses of paradechomai saying: Admits to filial privileges: acknowledges as his own. Of receiving the word of God, Mark 4:20; of receiving delegates from a body, Acts 15:4; of adopting or approving customs, Acts 16:21 4, and here we should see confirmation that this idea IS NOT merely receiving by hearing or taking but IS rather to accept it as one’s own. Mark’s idea here IS similar to the use, mostly by the Apostle John, of the idea of believing in and believing on the Master of which Vincent tells us IS literally believing into and IS: to accept and adopt His precepts and example as binding upon the life 4. It IS in the force of these ideas that a man IS the “good ground” and it IS in the force of these ideas that one DOES keep His words which IS the way that Luke presents this man who will “bring forth fruit with patience“. And this IS the essential point of the Parable of the Sower: to show us the Way of the man who IS to be Truly considered as that “good ground” and to differentiate him from the man whose focus IS in himself and the things of the self in this world. The Apostle Matthew uses the idea of suniemi which IS rendered as understandeth. Strong’s tells us that the idea here IS: to put together, i.e. (mentally) to comprehend; by implication, to act piously:—consider, understand, be wise 9a, and here we should try to see the spiritual connotations that ARE implied. Again there ARE other words that ARE rendered as understand but in suniemi we should try to see the added depth of the way that this IS used in a previous verse by the Master saying “I to them in parables: because they seeing see not; and hearing they hear not, neither do they understand“; again we find a sense of difference, here between the man who understands, the man who “which also beareth fruit, and bringeth forth, some an hundredfold, some sixty, some thirty” (Matthew 13:13, 23) and the man who DOES NOT. The context here IS that the man who understands the word IS the man who will receive the word and in his understanding will keep the word. Thayer’s shows us this idea of suniemi saying at the end of their defining ideas that: the man of understanding, Hebraistically equivalent to a good and upright-man (as having knowledge of those things which pertain to salvation 9. In the three ideas that ARE presented by the apostles, Matthew, he understandeth the word; Mark, he receiveth it; Luke, he keepeth it 4, we should be able to see the synonymousness of their presentation and recognize that the ideas ARE essentially the same. Here again we should separate the Master’s words from the doctrinal presentations of men which largely ignore such ideas as ARE found in the deeper view of the Greek words used in this parable, words that ARE intended to mean the same thing. We should see here that ALL bring the man in this world into alignment, if we can use this idea here, with his own Soul and this as he allows his inner voice to guide him past his own nurturing, indoctrination and experiences of Life. It IS largely in the ideas that men take from these aspects of Life that we find the primary resistance to the greater Truths which ARE openly presented by the Master and clarified and amplified by His apostles. From the beginning there has been resistance to the Truth as men have ever taken comfort in their own created meanings which they take from the presented words. The Jews chose how that they would live according to the law and, as we can see in Jesus words of the gospels, they chose those things which were unimportant over the Truly important teachings that ARE summarized for us in the Great Commandments. The Jews chose to fully accept circumcision, sabbath and holy day observances and sacrifice over the Truth of a man’s relationship with the Lord and with his fellowman. As we have discussed, the Christian DID NOT have such a choice, they had ONLY the openly presented clear message of Love and Truth; rather that accept this Truth, however, rather that to accept and adopt His precepts and example as binding upon the life 4, the Christian world has created their own choice through their misapplied interpretations of the words of the apostles and while this IS DONE without malice, the underlying motivation IS likely the same as was the Jew’s….to avoid what seemed the arduous Way of the Truth. After his list of the positve qualities of Wisdom the apostle offers us two things that “the wisdom that is from above” IS NOT. First that it IS “without partiality” which IS rendered from the Greek word adiakritos, another word that IS used but once in the New Testament by James. This idea is rendered by others as “without variance“, “not doubting“, fair, “without favoritism“, unquestioning, impartial, “free from prejudice“, “not judgmental“, unwavering, and uncontentious along with some variations of these word ideas. Here again we must remember that James IS telling us about the qualities of the Wisdom and NOT the qualities of a person who may have wisdom or Wisdom and some of these rendered ideas CAN NOT be said of a thought or idea. Strong’s defines adiakritos as undistinguished 9a and we should see here that this idea DOES NOT work in the context that James offers us. Thayer’s tells us that this means undistinguished, unintelligible; without dubiousness, ambiguity or uncertainty 9 and here, while the first two ideas also DO NOT work in James’ context, the latter three can. To best understand James point here however we should go to his use of the idea of diakrino which IS rendered as partial and IS, from James’ perspective, an extremely important aspect of the Truth of Love. Adiakritos IS a compound word formed from G1 (as a negative particle) and a derivative of G1252 9a according to Strong’s; G1 IS the Greek alpha while G1252 IS diakrino. “without partiality” IS contrary to the ideas of “pikros zelos kai eritheia” which carry the carnal ways of men seeking for themselves or for their group. If we can see “pikros zelos kai eritheia” in terms of emulation and factious division, thoughts and ideas that lean toward these carnal ways, we can then perhaps see why the apostle repeats this charge in stating what IS Wisdom….that it IS NOT to DO with the things of the self, emulation, nor in favor of a particular set of persons or groups….factious division. Understanding this in terms of “without partiality” and such corresponding ideas as “free from prejudice“, impartial and “without favoritism” gives us a clear view of the working of Wisdom and the lack of any personal message of benefit to oneself or one’s interests. “My brethren, have not the faith of our Lord Jesus Christ, the Lord of glory, with respect of persons. For if there come unto your assembly a man with a gold ring, in goodly apparel, and there come in also a poor man in vile raiment; And ye have respect to him that weareth the gay clothing, and say unto him, Sit thou here in a good place; and say to the poor, Stand thou there, or sit here under my footstool: Are ye not then partial in yourselves, and are become judges of evil thoughts? Hearken, my beloved brethren, Hath not God chosen the poor of this world rich in faith, and heirs of the kingdom which he hath promised to them that love him? But ye have despised the poor. Do not rich men oppress you, and draw* you before the judgment seats? Do not they blaspheme that worthy name by the which ye are called? 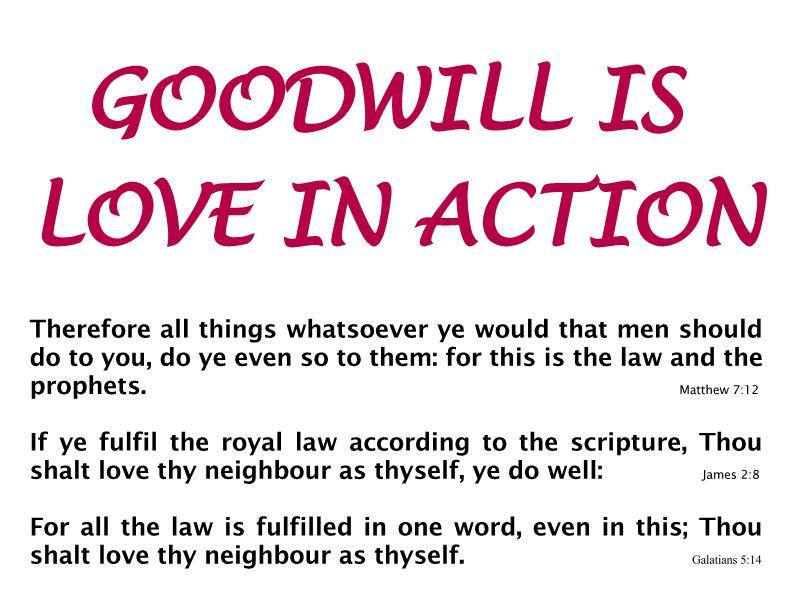 If ye fulfil the royal law according to the scripture, Thou shalt love thy neighbour as thyself, ye do well: But if ye have respect to persons, ye commit sin, and are convinced of the law as transgressors. For whosoever shall keep the whole law, and yet offend in one point, he is guilty of all. For he that said, Do not commit adultery, said also, Do not kill. Now if thou commit no adultery, yet if thou kill, thou art become a transgressor of the law. So speak ye, and so do, as they that shall be judged by the law of liberty” (James 2:1-12). It IS easy to understand why the doctrinal ideas regarding James’ words revolve around the idea of the rich versus the poor as this IS the apostle’s example. This example IS easier to accept than IS the deeper meaning of James’ words which build steadily toward the concluding idea that one should have NO “respect to persons“. This divide has ever been True; on the spiritual side this idea of NO “respect to persons” gives us a few word summary of the Great Commandment and the Golden Rule as well as the other parts of the Old Testament law that deal with the interrelationships of men. Meanwhile, on the carnal side there IS the seemingly virtuous lean toward treating the poor with dignity while at the same time striving toward being a part of the rich which in many ways puts one at odds with the Truth of the Master’s teaching and helps to establish a greater divide between oneself and the more downtrodden. We should add to this that without a conscious effort, the average man will ever see this divide and this from most ALL human perspectives. Taking this idea then to the differences between Wisdom and wisdom we should be able to see that any thought and idea that specifically treats one part of the equation IS one that IS founded in this divide and here, despite whatsoever virtue may be involved in establishing, running or participating in a food pantry for example, such effort remains an effort of wisdom rather than Wisdom. In Wisdom whatsoever thought or idea will see ALL of these, the rich, the poor and those in between as the same….as spiritual beings living for a time in a body of flesh in this world. This view and the sense of agape that IS expressed through it, IS the “good fruits” and if such a view enables others to see the Light of Truth, then such fruit IS ALL the more effective. We should try to see that the difficulty here IS NOT in the poor or the near poor accepting this view from one who expresses it; the difficulty IS in the rich and the near rich accepting the same as this puts them on equal footing with what they had somehow escaped. This IS a complex subject that reaches into the deepest parts of the human psyche and here we should remember that it IS this psyche that must be changed as one attempts to be “transformed by the renewing of your mind” (Romans 12:2). Again we should remember that this idea of the rich and the poor IS NOT ONLY in regard to possessions and wealth as a man can be rich or poor in every aspect of Life in this world. We should try to see this in appearance, in intellect, in one’s abilities in the arts, in one’s physical abilities and equipment….in virtually every aspect of Life in form and we should remember that these differences ARE ONLY in that Life; the Soul stands beyond such ideas and IS the same for and in every person save for his established ability to express the Truth of Love through that form. Here again we should try to see that whatsoever one can DO to express this True self and to enable others to glimpse that Truth IS the True “good fruits” and the reality of one’s expression of “the fruit of the Spirit” (Galatians 5:22). While the Master tells us of the importance of one’s expression of fruit and how that it IS by this expression that one can discern the man whose focus IS upon the things of God from those whose expression IS carnal, the doctrines of men interpret His words into their self serving idea that those who follow such doctrines ARE of the former group and NOT the latter. This IS of course a part of that deception of which James cautions us early in his Epistle saying “be ye doers of the word, and not hearers only, deceiving your own selves” (James 1:22) but these words also ARE presumed to exclude the doctrinal thinker whose doctrines have replaced the idea of being “doers of the word“; most ALL have replaced the Truth of His words with the wranglings of their various doctrines and in so DOING have lifted themselves above this idea of deception. This IS an unfortunate situation and one that has been since the beginning of what IS called the church as men have created their own sense of Truth and of the fruit that it should bear. Jesus cautions His disciples and followers to “Beware of false prophets, which come to you in sheep’s clothing, but inwardly they are ravening wolves. Ye shall know them by their fruits. Do men gather grapes of thorns, or figs of thistles? Even so every good tree bringeth forth good fruit; but a corrupt tree bringeth forth evil fruit….Wherefore by their fruits ye shall know them” (Matthew 7:15-17, 20). While we DO NOT tie these ideas together maliciously, our words DO come across as harsh; we should understand however that there IS NO idea of evil as this IS understood, there IS ONLY a doctrinal failure to teach the most basic Truths of the Master’s words. This failure has taken the out of context, misunderstood words of the apostles and have misapplied them to their own satisfaction and here again we should look back at the “good ground” and how that this receives the word, understands the word and keeps the word and here of course the very idea of the word IS from that same Greek word, logos, which IS understood as Jesus in the prologue to the Gospel of John. In this we should try to see that the “good fruit” IS the teaching of the True prophet, teaching based in the words of the Master and those parts of the law that ARE NOT added by Moses to give structure to a barbaric and superstitious people 1500 years earlier. In the ideas of “evil fruit” and of corruption, the “corrupt tree“, we should see the thoughts, ideas and action of the man grounded in Life in this world….and this IS most ALL men regardless of the position that they may place themselves. The “good fruit” IS simply those thoughts, ideas and actions that ARE in accord with His words. Such “good fruit” comes in that “wisdom that is from above“, it comes according to James’ list of the qualities of that Wisdom and it IS spiritually based as it flows from above….from one’s Soul. And, being spiritual, this Wisdom, this fruit, follows the reality of Paul’s own list of the qualities of such spiritual fruit which he tells us saying “the fruit of the Spirit is love, joy, peace, longsuffering, gentleness, goodness, faith, Meekness, temperance” (Galatians 5:22, 23). Here again we must be careful to seek out the True meaning of the Greek words used by Paul as they ARE much more complex that the simplicity of these rendered words. While we ARE yet in discussion regarding the deeper and Truer meanings of the words of James, his list of the qualities of Wisdom, we will take a brief pause to look at some of the words that Paul uses in his list of the “the fruit of the Spirit“. The first word IS agape and here we KNOW that the common idea of this world IS almost completely carnal as it addresses the mental and emotional attraction and attachment that one has for others and for the things of this world. The deeper view of agape IS found in Jesus words of the Great Commandments and His Golden Rule and IS in regard to our seeing everyman in the same Light; this IS seeing the differences in appearance, in intellect, in one’s abilities in the arts, in one’s physical abilities and equipment and whatsoever else contributes to the diversity of Life in this world as notable but NOT pertinent. In agape we may see and sense such differences but then see ONLY the Unity of spiritual Life behind them….we see ALL others as we see ourselves while understanding that the plight of men, the vanity to which ALL ARE subjected, afflicts or has afflicted us ALL. This IS the KEY to True Christianity and the Way par excellence to keep His words as Paul tells us earlier in this chapter from Galatians saying “all the law is fulfilled in one word, even in this; Thou shalt love thy neighbour as thyself” (Galatians 5:14). The next word in Paul’s list IS chara which IS rendered as joy and here we should see the idea of grace as this Greek word comes from the same root word as charis. If we can understand chara as spiritual joy, joy that emanates from the Spirit in that “wisdom that is from above” and that as this IS, like agape, an expression of the Soul, we can then understand that it should be passed along according to the Master’s words saying “freely ye have received, freely give” (Matthew 10:8). But this idea of joy IS but a part of the idea that should be conveyed; there IS also the reality of grace and the flow of grace as the reality of that Wisdom. If we can see charis as the incoming flow of Truth and Love, Wisdom if you will, and see chara as the out flowing of the same, we can then understand this idea where Paul IS using these words in regard to the thoughts, attitudes and actions of a man in this world. This list of “the fruit of the Spirit” IS set in opposition to his previous list of “the works of the flesh” (Galatians 5:19).